• British English is much more primitive than the American English. • British English takes into account some rigid grammar rules. 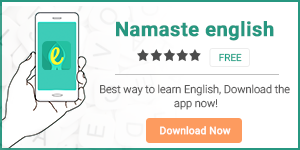 • Britishers are considered to be the native English speakers. When I say British, we all get a mental image of a man dressed in tailcoat suit, a long black hat, adding milk to his morning tea and having a hearty English breakfast while sitting in his huge Victorian office. American image, on the other hand, is a person in his long overcoat, running towards the workplace, briefcase in one hand and a large cup of black Americano coffee. Now, what happens when these two contrasting characters meet? Although both speak the same language but if you put your ear into their conversation, you’ll notice a huge difference in their vocabulary, dialect, grammar and not to mention, the accent. 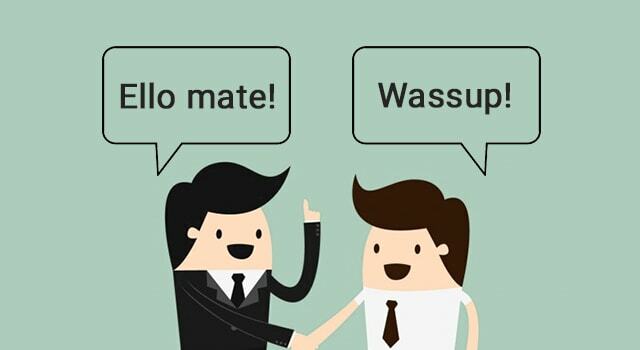 Today let’s deal with the vocabulary differences between British and American English. Britishers live in flats while Americans live in apartments. When in McDonald’s, a Britisher would order chips and he gets what an American would call French Fries. At the end of the day, a Britisher takes out the rubbish while an American takes out the trash. Britishers go for holidays and Americans go on a vacation. If a Britisher says that he is living on the ground floor then an American, who lives on the same floor, would say that he lives on the first floor. A British bathroom has taps while an American bathroom has faucets. Britishers enjoy biscuits with their tea while Americans like to have cookies. Britishers put on trousers while Americans wear pants. A Britisher goes to the airport to board an aeroplane but Americans board an airplane. British people enjoy their weekends by watching a film and Americans go to the movies. Other than words, Britishers and Americans always sit on the opposite poles when it comes to their colloquial language.Let’s have a look. BUDGE UP ⇒ to ask someone to move and make some space. EASY PEASY ⇒ a childish term for something that’s very easy. MIFFED ⇒ when someone’s miffed, that means the person is either upset or offended. GOBSMACKED ⇒ to be shocked and surprised beyond belief. BRASS MONKEYS ⇒ used to refer to extremely cold weather. TAKE A RAIN CHECK ⇒ used as a metaphor for postponing or rescheduling an event or a meeting between people to some later date that is more convenient. FEELING BLUE or TO HAVE THE BLUES ⇒ A feeling of depression or sadness. SCREW UP ⇒ To make a mistake, i.e. to mess up. GOING DUTCH ⇒ When each person, usually in a dating scenario, pays for his/her own meal. PIG OUT ⇒ A metaphor for binge eating. Another classic difference is the pronunciation of the letter ‘R’. Americans have a rhotic pronunciation which means, they emphasize on the sound of R.
If a word has ‘R’ in it or if it ends with the letter ‘R’, an American would roll his tongue and pronounce it in a way that it’s clearly audible. Britishers, on the other hand, follow non-rhotic pronunciation. In simple terms, a British would say the letter R only when it lies between two vowels ( as in the word AUTHORISATION ) or if the word starts with the letter R ( as in the word RUSTIC ). However, Brits never pronounce the letter R if it comes before a consonant ( as in the word ARSENAL ) or if a word ends with it ( as in the word FLICKER). Click on the words to learn their correct pronunciation as well as their meanings. 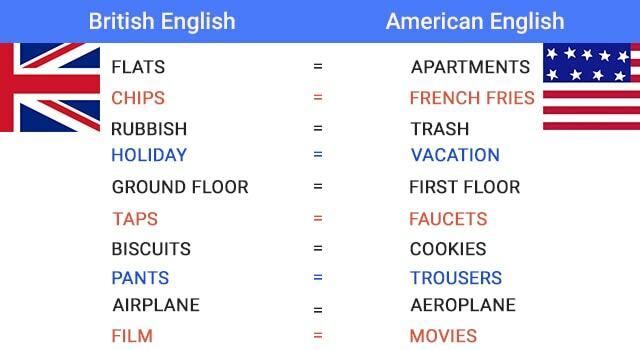 Well, these were some of the many differences between British and American English. DIVIDED BY WORDS, UNITED BY ENGLISH! Previous articleFormal and Informal Uses of Contractions.